Have you ever participated in the Hero Arts Flickr scramble? You are challenged to make a card (or more) in 90 minutes and it is hosted by flickr members. It is really fun!!! Unfortunately I missed it yesterday - but I was still inspired to make a few quick cards of scraps (scraplings) inspired by yesterday 's scramble hosted by Sue. Stamps: Hero Arts E5388 Traditional Butterfly, S5216 grid pattern, LP141 Together, LF_Sophie's Sentiment. Inks: Ranger distress ink Broken China & Vintage Photo, Memories white dye ink, versamark. 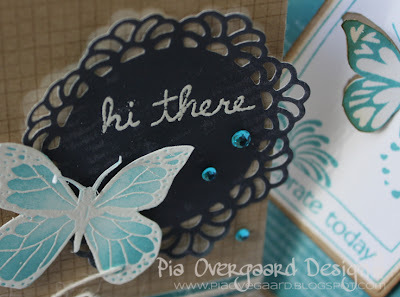 I used the outline from the die cut as a mask to make a white background - to make the blue die cut pop! 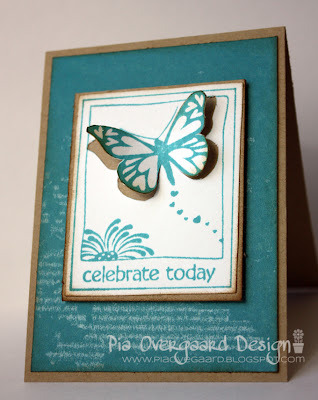 This is quite simple - using scraps of MLYB paper and one stamp! 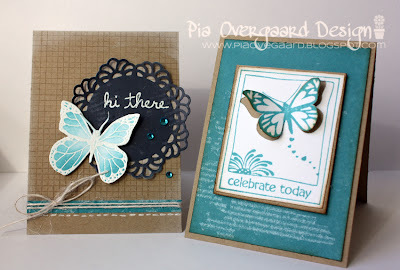 Beautiful cards, Pia! I'm sorry you missed the deadline, but I'm sure it was a lot of fun and the end results were wonderful! 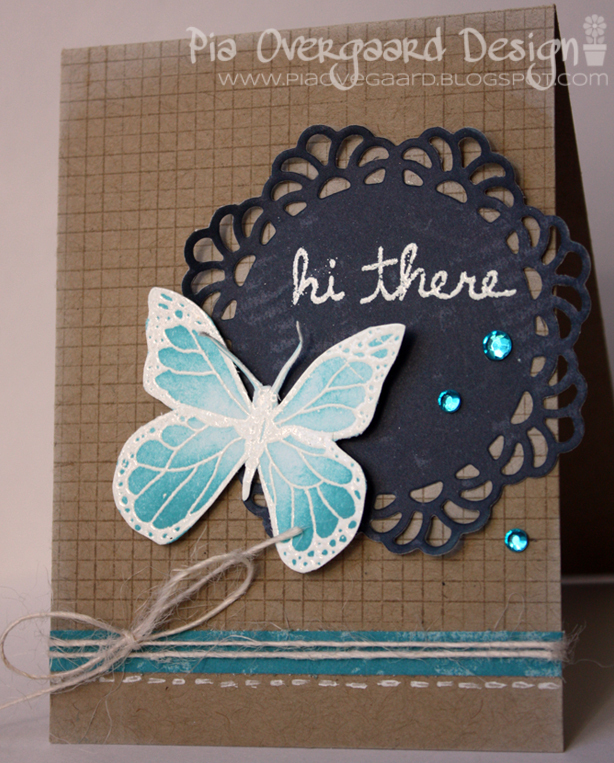 I love the color combo, too! These are super beautiful, love your creations!